This one came together very quickly and focused on my awesome daughter 'pussycat'. 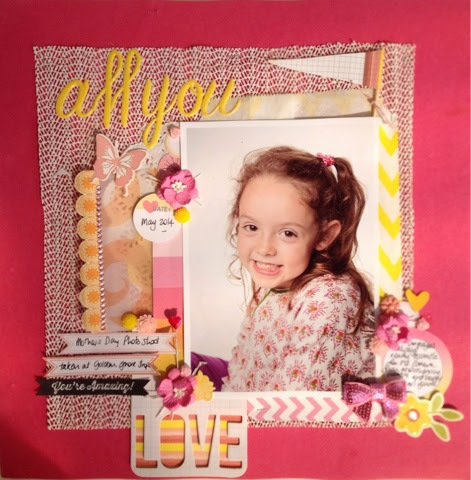 I really enjoyed this layout as it uses some gorgeous colour's that are so versatile on any girly layout. 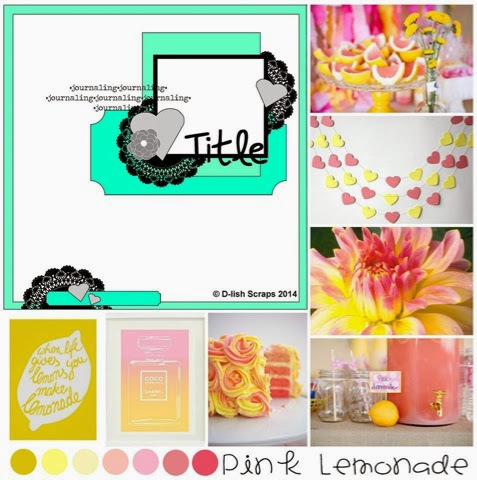 Plenty of great d-lish goodies used out of the 'pink lemonade' Just Add Paper kit. Always a good buy for $10. There is also a line of the light pink bling to the left of the page. Yellow chevron bag under the photo. And this was the inspiration board for the month! .. This is so delightful, that photo is gorgeous. 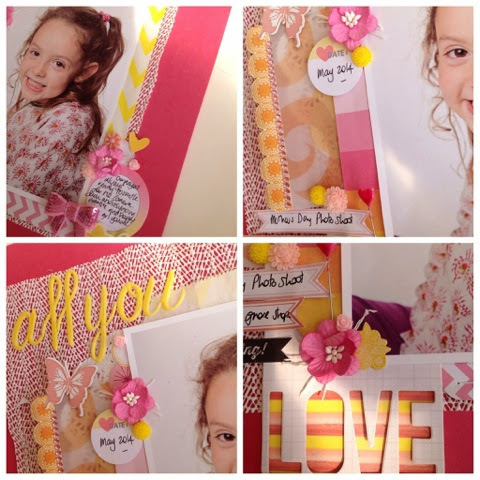 and love all the embellies you have used too.. thanks so much for joining in at D-Lish Spring Inspiration board this month too..
Beautiful take on the mood board :) love how you used the kit! thanks for playing along! Gorgeous photo and I love the way you have scrapped it! !